The social media tools are becoming integral part of today’s businesses. Incorporating such tools will not only make your social media chores quite easy, in fact they will enhance your overall performance with improved outreach, increased revenue generation and brand exposure. Let’s go through the list of some amazing social media management tools that I have been using and want to share with you. You can also click here to receive our PDF if you need further guidance in finding the best social media tools. Fan Page Robot– This is an affordable social media marketing suite that will automate your posting efforts on Facebook, Instagram, Google+, Pinterest, Twitter and other social platforms. In fact, it offers a lot more like recommendation of hashtags, revenue generation, video marketing, content curation, etc. Chime– A Chrome extension that notifies you when you get a response, mention, comment or message on one of your social media profiles. Free. Nimble– In the discipline of CRM, Nimble is one of the best social media management tools. It lets you track and build your relationships with several social media platforms in one Nimble allows access to Linkedin, Facebook, Twitter and integrates nicely with several tools either directly or through automation tools. $15/mo. *Note: I have not extensively used the new Contacts feature on Linkedin, but for what I have seen I still like Nutshell better. Shareaholic– This tools takes your content to the next level by acquiring a large audience through promoted content and native ads. And this software also helps to increase social shares, pageviews, repeat visitors etc. Social buzz club– Being one of the best social media management tools, this one is a bit more different, you have to take the time to schedule each share and visit the site to submit your shares. But I do like the new people/blogs I have discovered here. The following I have not used extensively but do know other users who do. I recommend using 1-2 of these increase share tools at the minimum and suggest Triberr for it’s ease of use and integration with WordPress where your posts are automatically added to your tribes’ feeds for immediate sharing. Flauntt– For Twitter sharing only. Just retweet– 100 free start up credits. It’s nice to see how many mentions, retweets, favorites and times you’ve been listed. Both of these social media tools help you do that, while also giving you access to a list of influencers who are active on your behalf. I use Twitonomy often, but Twtrland is a free app in Hootsuite for easy access to your information. Knowing who your follower is, where they are from and understanding their usage helps you deliver content that more appropriately matches what they want and need. Check in with these social media management tools regularly to stay on top of changes in your followers’ activity. Twitonomy– my favorite for ease of use and seeing who is actively talking about me. Klear– One of the best social media management tools to track social media analytics. Also enables you to perform influencer search as well as to analyze social profiles. Twittercounter– great for quick look at increase of twitter followers. Followerwonk– Among the best social media management tools to track social media analytics. It lets you dive deeper into Twitter analytics by finding about followers, their locations and the time when they tweet. Building relationships with top influencers in your industry can give you an immediate access to their followings. Figuring out who those top influencers are, is easier with these social media tools. All of them help you to identify influencers in their own way. Klout– Where you can find perks from top names for being influential. Kred– Second most popular influencer site. Peer index– Third most popular among different social media tools for business. Keyhole– This is one of the social media management tools that is used to track hashtags and aid in figuring out the influencers and conent. A twitter chat is a great way to connect with others who enjoy the same topic. These chats are frequent and often a huge hit. For social media alone there are a couple of dozen chats per week. 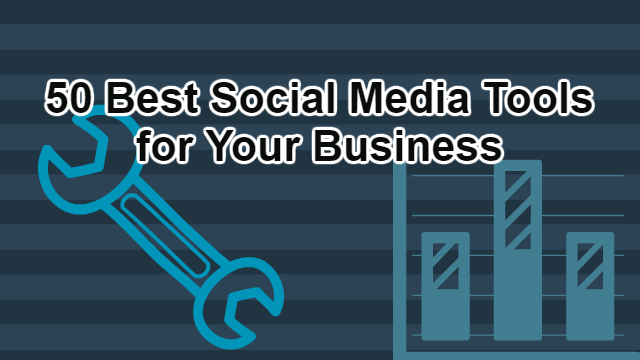 I have used all of these best social media tools and recommend them. There are several other social media management tools that can track hashtags on Twitter- even Twitter itself. I find these tools to be the best at making chat simple to read and participate in. Using any of the social media tools mentioned above, sign in to Twitter with the tool, then put in the following hashtag to watch and participate in the chat. It’s actually a lot of fun. Before using these tools please read about Twitter limits. I’ve found that even if you follow less than 1000 a day you can still be reported for spam and it won’t matter how many you’ve followed you can get suspended. I’ve seen people get suspended. Audiense– For following and unfollowing- more expensive but a nice tool to use. FanPageRobot– While searching for the best social media management tools, I got a chance to work with this one. It can put your Twitter (and other social pages) on 100% autopilot. It also has a lot more unique marketing features that will help you increase followers easily. Dlvr.it– In order to automate your social media activities, you need the best social media tools. Dlvr.it automatically feed rss feeds to Twitter, Facebook, Google+ pages, Linkedin, Linkedin groups and possibly others. Socialoomph– From the list of social media tools particularly designed for automation, this tool boosts productivity by automating activities for Twitter and other social media platforms. Social Media Marketing– My favorite discussion group, it is a large community that is moderated by skilled group of managers. You will receive weekly announcements (in your inbox) about webinars and other resources. Hence, it is an ideal discussion group to have insights about social media. Social Media Today– This is a group of social media professionals as well as professionals of HR, PR, Marketing and Advertising. But the main focus is social networks so you will have greater insights here as well. PinGroupie– It is one of the simplest social media management tools that has tons of group boards. As you pin something on any of these boards, it will be visible to a large number of people. Thus, you will be able to drive a high traffic from Pinterest. ViralTag– Another one from the list of so many social media management tools is ViralTag. This lets you schedule your pins without any difficulty. FanPageRobot– This software is one of those social media tools for business that makes your marketing chores easy to go. You can proficiently manage your Pinterest profiles through this tool. It automatically generates viral images that will get you tons of followers, while automating other Pinterest activities as well. Feedly– My favorite RSS feed reader, it is easy to add to and read on, very similar to Google Reader. FanPageRobot– It has intelligent content curation features. Just enter your desired keywords and it will generate compelling and trending content. Such smart content curation will result in increased followers, likes and shares. Pocket– save articles and blog posts for later reading, then quickly add them to social sharing queues. Scoop.it– search a topic and find great content to share. You can find topics to follow as well. Distractify– always interesting articles to share with your followers. Thank you for reading, if you know of other tools I should add, please leave a comment below. © 2016, Social Media Consultant. All rights reserved. What Is A Better Dlvr.It Alternative for Automated Social Media Marketing?